My daughter bought some second hand cushions which introduced bed bugs to the house. My son’s bed got badly infected. 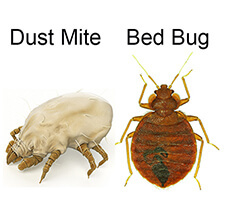 We engaged two different pest control companies to treat the bed bugs as the first treatment failed and the bugs returned. We ended up dumping the bed, mattress and pillows as they were all infested. The couch became infested and we got to the point where we were ready to dump it too, despite the cost. I found Bed Bug Barrier on line, contacted them for advice and purchased the powder and applicator then followed instructions described on the video and treated the couch. Two months later there are no signs of bed bugs. I was initially sceptical as it seemed too simple to be true but it worked. We were really stressed about having bed bugs in the house and worried that they would transfer to other houses if we sat on the couch or slept on the bed. I’m very impressed with the product and have recommended it to my friends as it is simple to use, doesn’t involve dangerous chemicals and actually works.